In regards to medicine, it was basically driven by passion. When I grew up, my parents used to always do a lot of social service. One of it is was a medical camp for the poor. They used to bring me along and I used to just run around there. Furthermore, Indian parents always ask you to either do law, medicine or become a teacher. So I worked towards that but unfortunately,my STPM result was not good enough to get a medical seat at that time. So I got dentistry which was my fifth choice in my university application. Out of the five choices, I still put medicine as my first choice although I knew that I probably would not get it. My first choice was medicine UM, second choice medicine USM, third choice medicine UKM, fourth choice medicine UPM and my fifth choice was dentistry UKM. So I got my fifth choice. Of course initially, I was a little bit disappointed but everyone tells you “Its okay, you’re still going to be a doctor, you can still serve people”. My family could not afford to send me to any private institution to study medicine but I still had that drive that I would want to do something related to medicine. That is why from the first day I entered dental school, I already knew I wanted to be an oral surgeon because everyone told me that was the closest that you can go to being a medical doctor and that there is a pathway in which you can do a double degree. Nowadays in Malaysia, there is a little bit of awareness that maxillofacial surgeons would benefit from being double degree holders. And this is the pattern internationally as well. 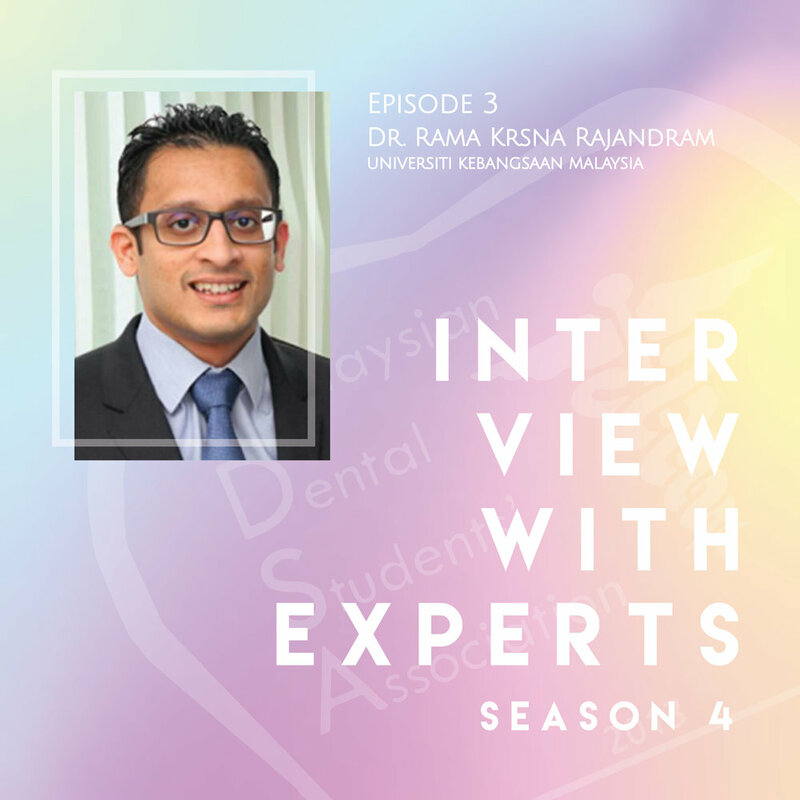 So I got to do medicine in University Malaya at the age of 35 and of course subsequently as I enrolled, I realized that it was more thanjust passion, it was actually in me that I really wanted to do it. I always tell my students that ‘cita-cita’ is one thing, making it a reality is another. The number one challenge I would say is time. As you get older, there would be a lot of other responsibilities that come in. It’s something that you need to learn how to balance. So for me, the biggest difficulty would be time as time management is very important. Easier said than done but sometimes I guess the most important thing for me is focus as well. I always have a plan in my mind and I know what I want to achieve. I do use the whiteboard in which I always write down what I need to do. You would be surprise that you can do a lot when you have a plan. When I started working, I realized that the people who tend to bear the most burden whenever someone is diagnosed with cancer are actually the spouses or the family members. We call them the support system. This group of patients are often neglected because they tend to feel guilty to voice out their difficulties. They feel that the person that is closer to them have a life threatening disease. So, most of the time they tend to suffer in silence. They don’t even go out anymore because they think that if they go out, it will affect their spouses who are not in the mood to go out. So I started to do a research in hopes of finding something that would provide a more comprehensive care not only for the patients but for the whole support system as well. This research started when I was doing my masters program in Hong Kong. We found out that it was very significant as the spouses were having post traumatic stress. Hence, we are trying by research to highlight this importance in our treatment planning where we include these spouses in helping the patients cope with their cancer. I’m a gym freak. I do go to the gym often. I get a lot of peace when I’m in the gym and I also run a lot. I tend to do long distance running. So for me, I use that as my outlet of de-stressing. Most people tend to forget that it is important that your body has to be healthy. When you are in a course that is very stressful such as medicine and dentistry, you need to realize that it does not end there. The stress continues till you start working. I always believe that a healthy mind is important and a healthy body is also just as important. I just try to at least spend an hour in a day working out no matter how busy I am. The most important piece of advice which I have received would probably be from my parents. They taught me to always stick to the important human values in life. I think having a principle in life is very important especially when you are in the medical field where you have a lot of power to make decisions that can affect people’s lives. Trust me, when you start working, the pressure will always be there and it would make you to want to fall on the easier side. It is always not easy to hold on to your principles because it might not be the popular decision but like I always said, as long as you know that your conscience tells you that that is right, you must always stick to your principles no matter how difficult the situation may be. The most important thing is that you can sleep well at night. No matter what you do, if you cannot sleep well at night, something is wrong. If you notice, in my social media, I always use the hash tag “mind over matter”. I strongly follow that and I always believe a strong mind is what will get you through.